The 2018 National Premier Leagues Gold Medal Dinner took centre stage at the Doltone House, Jones Bay Wharf on Friday 14th of September as players, coaches, officials as well as high profile guests attended what was a fantastic evening acknowledging the achievements from the top tier National Premier Leagues NSW Men’s and Women’s seasons. It was a fantastic season for both males and females as they got together in a monumental evening where over 350 guests attended with the night proudly presented by Fox Sports’ Adam Peacock. There were a number of special guests which included; Stephen Bali, Member for Blacktown, Mitchell Wright, Member for Campbelltown, Dr Hugh McDermott, Member for Prospect, David Garnsey Member for Ku-Ring-Gai, Sonia Hornery, Opposition Leader and Member for Auburn, Head of the A-League’s Greg O’Rourke, John Tsatsimas, CEO of Western Sydney Wanderers, Cameron Honey, Chief Commercial Officer of Sydney FC, former Socceroos captain and coach Les Scheinflug and former 1974 Socceroos manager Rale Rasic along with the Football NSW Board. The first major awards that kicked off the evening were the Referee awards. For the third successive year Kelly Jones was awarded the NPL NSW Women’s Referee of the Year award for her outstanding season. In the men’s category, referee Kurt Ams took out the NPL NSW Men’s Referee of the Year, his second in two years, for a solid year as determined by the weekly assessment of referees throughout the season combined with considerations from the Technical Committee of the Independent NSW State League Football Referees Branch. The announcement of the Player of the Year and Golden Boot winners in the Under 20/Reserve grade competition were up next and what a season it was for both categories. Football NSW Institute’s Vesna Milivojevic took out the honours in the Women’s Reserve grade notching up 24 goals while Sydney FC’s Hamish Lamberton took out the 20 Men’s scoring 18 for the year. The Player of the Year awards were up next and Manly United’s Maddison Zahra grabbed all the plaudits for an outstanding year in the 20’s while Blacktown City’s Lachlan Campbell stood out from the rest of the pack in a big season. No doubt these two players will be knocking on the senior doors for season 2019. Goalkeepers were next on the awards block and it was Football NSW Institute’s quality shotstopper Jada Whyman who took out the NPL NSW Women’s category in what was an impressive year for the youngster and future Matilda.  Sydney Olympic’s number one keeper Paul Henderson clinched his third successive award in this category after a memorable 2018 season bagging the Premiership and Championship. At 42, Henderson once again showed to the football public that age is only just a number, having had a brilliant season under the sticks. The Golden Boot award winners were announced soon after. The ‘Debbie Tait’ Award for the NPL NSW Women’s Golden Boot was awarded to Macarthur Rams’ gun scorer Georgia Yeoman-Dale who scored an impressive 30 goals for the year. This award is in honour of Debbie Tait who sadly lost her fight with leukaemia on December 17, 1997. She was aged just nineteen. During her short lifetime, Debbie touched the lives of many people with her easy going, bright and cheery personality. Debbie loved her football and was a player of great talent. She achieved so much in so little time. Finally, in the NPL Men’s category, APIA Leichhardt Tigers’ Jordan Murray steam rolled the goals for his side scoring 23 even though he missed the last couple of matches after his move to A-League outfit Central Coast Mariners. It was onto the NPL NSW Men’s ‘Goal of the Year’ award and after 22 rounds there was only one clear winner. In what was a stunning year for goals it came from an unlikely source, Sydney Olympic defender Thomas Whiteside for his audacious ‘scorpion’ goal that went viral against the Wollongong Wolves in round 10 of the competition. The Coach of the Year category was next with Manly United’s NPL NSW Women’s manager Chris Williams getting the nod from his fellow peers. It was to be Williams’ second successive coaching award after guiding his side to the finals series. Sydney Olympic’s Abbas Saad was then honoured in the Men’s category after he steered the Blues to a commemorative double taking out both the Premiership and Championship. The time had come for the Player of the Year awards in what was the crucial part of the evening as the suspense was at boiling point for all players involved. Once again, the clubs voted in a 3-2-1 system after each team put forward their best two players for the 2018 season. Things were tight in the NPL NSW Women’s category as we had a double winner with Football NSW Institute’s Courtney Nevin and Macarthur Rams’ Kylie Ledbrook who both stole the headlines after being the best in their respective league. Their performances did not go unnoticed as the two will soon become teammates in the upcoming W-League season after the duo signed with the Western Sydney Wanderers. The stage was set for the final award of the evening and that was the prestigious NPL NSW Men’s award for 2018, the Gold Medal. After 22 rounds the award was presented to APIA Leichhardt Tigers’ Japanese import Tasuku Sekiya. Sekiya followed in the footsteps of previous APIA winners Sean Symons (2017) and Franco Parisi (2015). The pint-sized attacker wowed the NPL with his wizardry and finesse as the Tigers almost had the perfect season if it weren’t for Sydney Olympic who took away both the Premiership and Championship from them. Sekiya, who stole all the headlines in APIA’s memorable FFA Cup victory over last season’s A-League Champions Melbourne Victory, will hope that he can replicate his form when they take on Adelaide United in the quarter-finals of the competition on the 26th of September at Leichhardt Oval. Sekiya beat the likes of Sydney Olympic’s Alejandro Sanchez, Sydney United 58’s Panny Nikas, Blacktown City’s Joey Gibbs and Rockdale City Suns’ Blake Ricciuto for the big prize and was humbled to have won such an accolade.